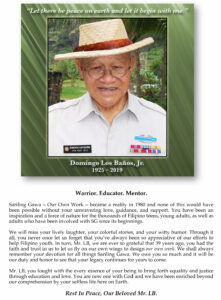 On March 15, 2019, our beloved Mr. LB went home to be with the Lord. 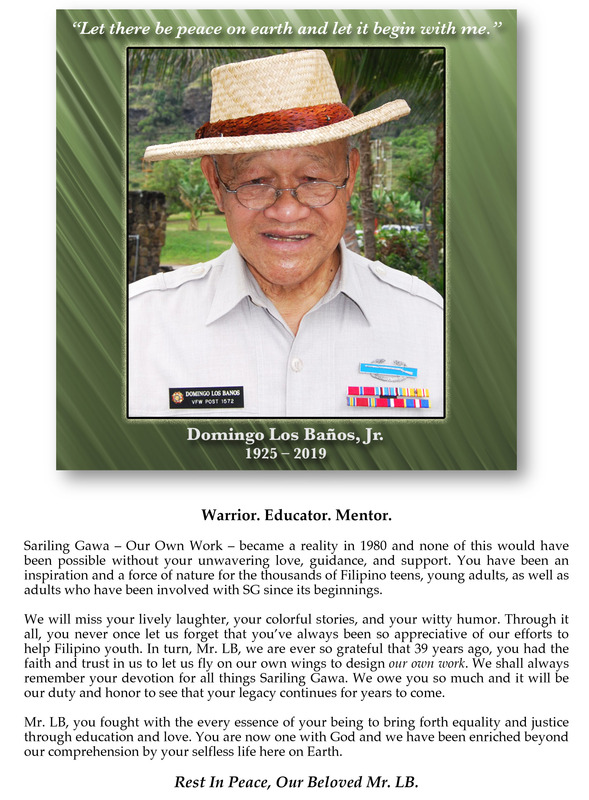 Domingo Los Baños, Jr. was our first SG advisor who found us in 1980 during the 75th anniversary celebration of Filipinos in Hawaii. For the next 39 years, he allowed us to fly on our own wings to create what we now know as the Sariling Gawa Youth Council.